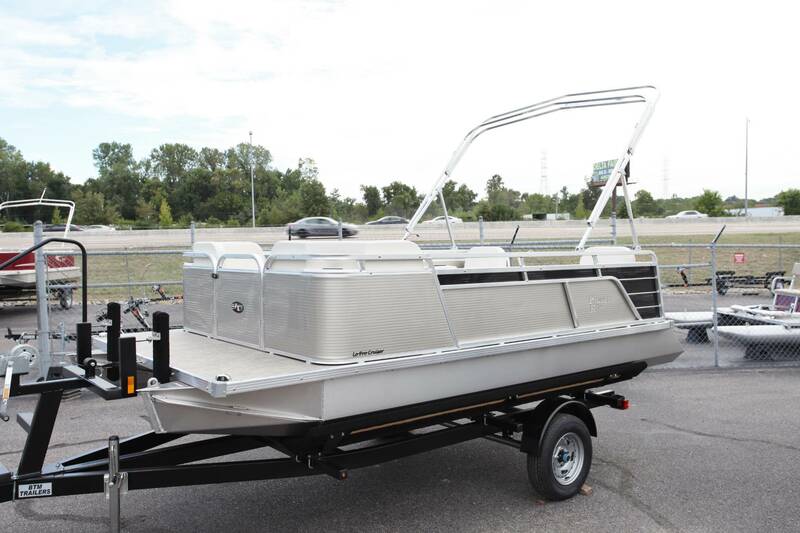 A dependable solid pontoon platform for small lakes and small horse power. 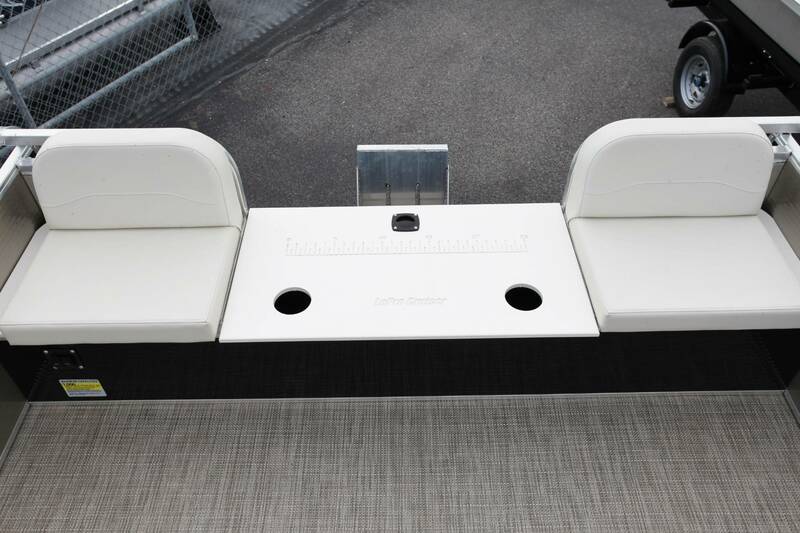 With Wide-Ride custom vented pontoons under the deck there is no tipping or rolling. Even a group of large men can move all around this small boat without much tipping. Rated for six adults, this is a great choice for your backyard lakes. We power these with small outboards or electric motors. 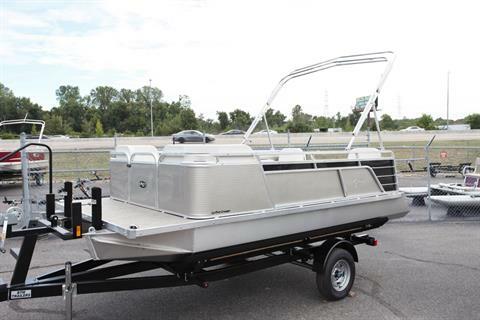 The Cruiser is 15' 2" in length, 79.5" wide, has a carry capacity of 1000 lbs, and weighs 913 lbs. 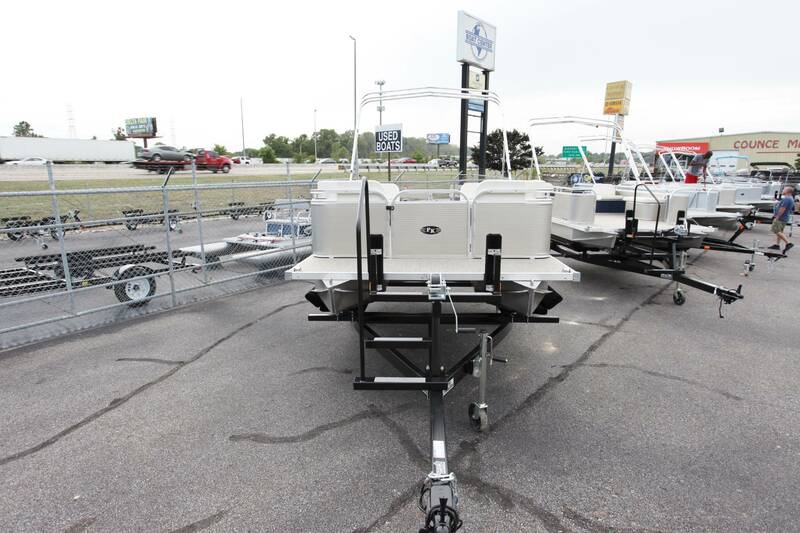 This model is rated for up to 20 hp, but a 4 to 10 hp is ideal for small lakes. 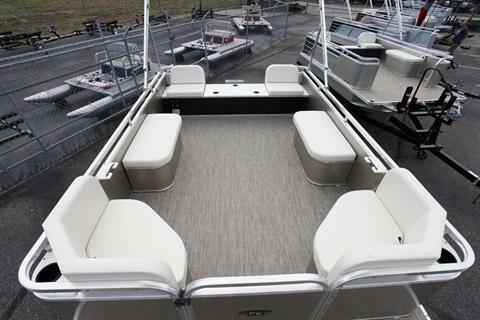 Floor plan #3 includes a driver and passenger seat in the stern with under seat storage, two corner seats forward, and a padded bench seat on the port side. 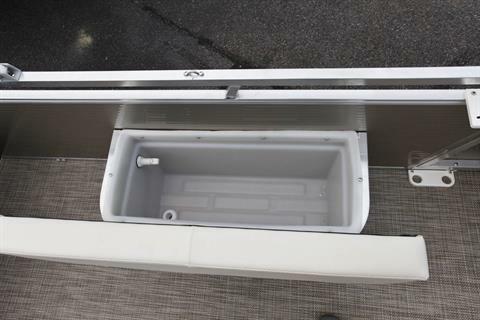 Under the port bench is a livewell. 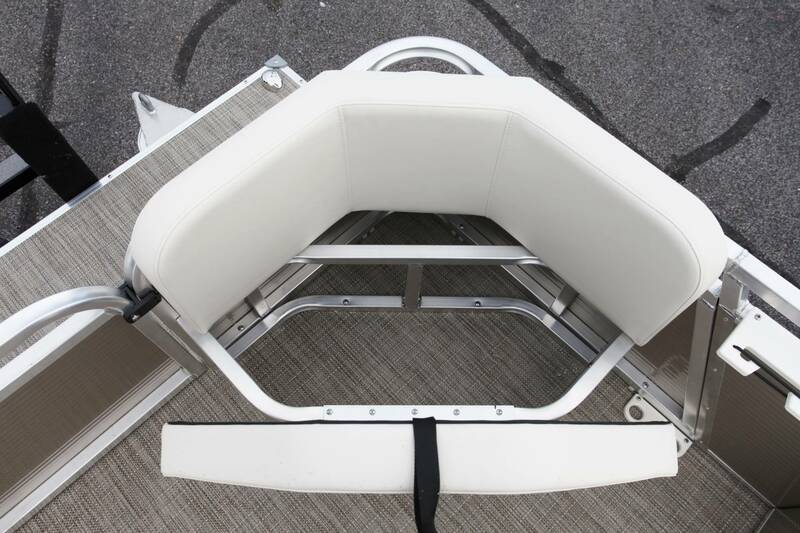 The battery tray and the switches for the navigation lights and the aerator are under the rear starboard seat.